Ms. Creason served as Chief Financial Officer for Serta mattress, in addition to other interim CEO and CFO roles where she had overall fiduciary responsibilities, including being a member of the Board of Directors. Ms. Creason also held senior financial management positions at Continental Airlines. Ms. Creason is a CPA and holds a B.S. from Illinois State University and an MBA from St. Louis University. 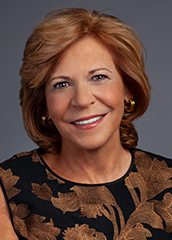 She is an active member in the Turnaround Management Association and American Bankruptcy Institute.